I’m happy to announce that my story, “A Quick Getaway,” is included in the new anthology by Pantheon Magazine. Isn’t the cover beautiful and haunting? It’s available for sale from Amazon. 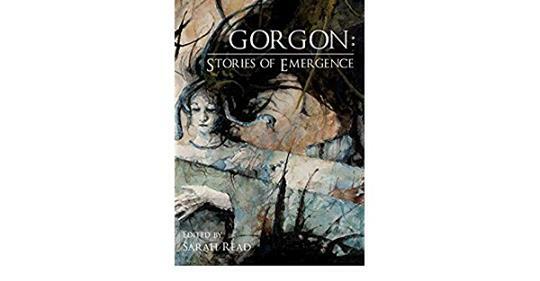 Here’s the description: Be changed.GORGON: STORIES OF EMERGENCE contains 42 transformative stories spanning all genres from both emerging and new voices alike, with all new stories by Gwendolyn Kiste, Richard Thomas, Annie Neugebauer, Eden Royce, Beth Cato, D.A. Xiaolin Spires, Maria Haskins, Carina Bissett, Julie C. Day, A.T. Greenblatt, and more, and featuring 10 illustrations by Carrion House. For two months now I’ve been promoting my debut novel, Walking Through Fire, through orders, interviews, and readings. I made sure copies were in the local library and I gave a talk to the local Rotary Club. 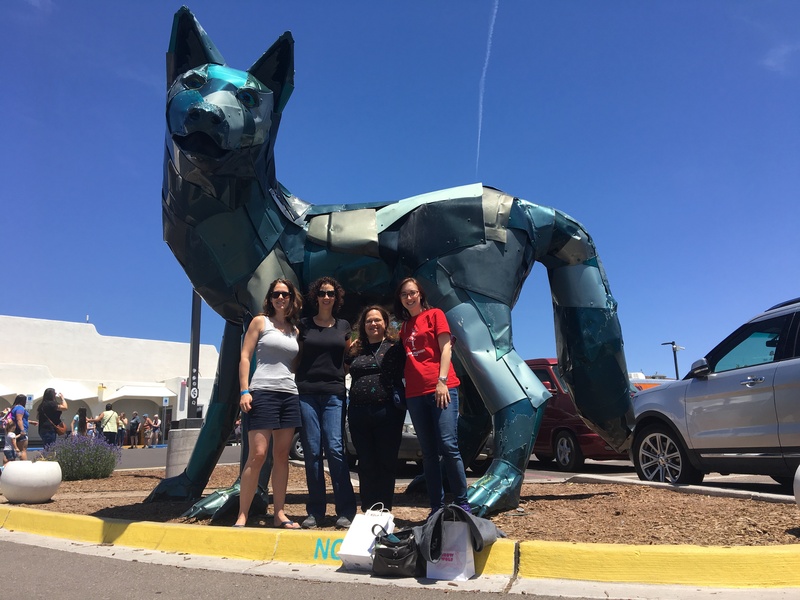 I spoke on panels at the Baltimore Book Festival and I’m participating at the World Fantasy Convention. I will attend Charm City Spec as an author instead of an audience member. So, there are a lot more events, but we are making progress in introducing my book to the world. AND, Walking Through Fire was longlisted by Booknest for Best Debut Novel of 2018. The prize was an engraved sword so I’m pretty steamed that I didn’t win…(just kidding). I will be in costume on Halloween as part of Charm City Spec’s reading series. The reading is at Bird in Hand, Charles Village Baltimore and starts at 7pm. 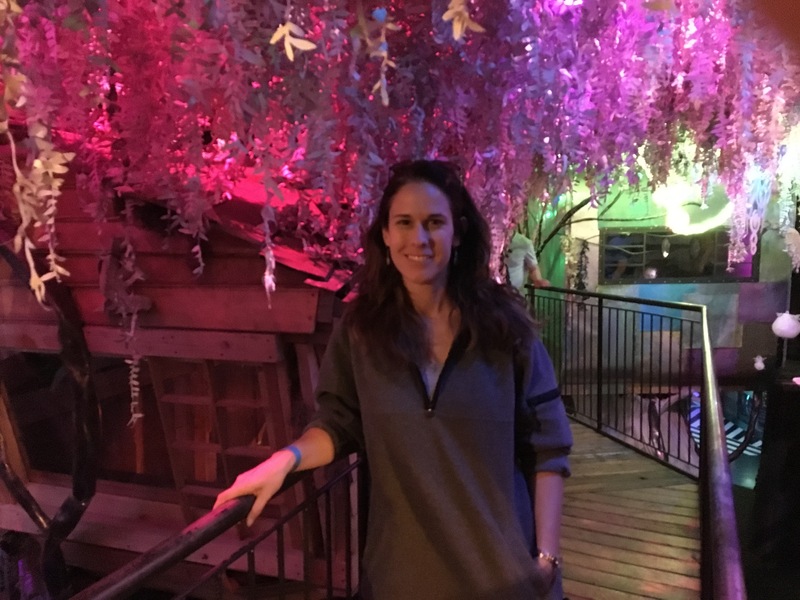 Sam J. Miller (The Art of Starving and Blackfish City) and Julie C. Day (Uncommon Miracles) will also be reading. Then I will commute to the Inner Harbor Thursday through Sunday to attend the World Fantasy Convention. My reading is at 4:30 PM on Friday. 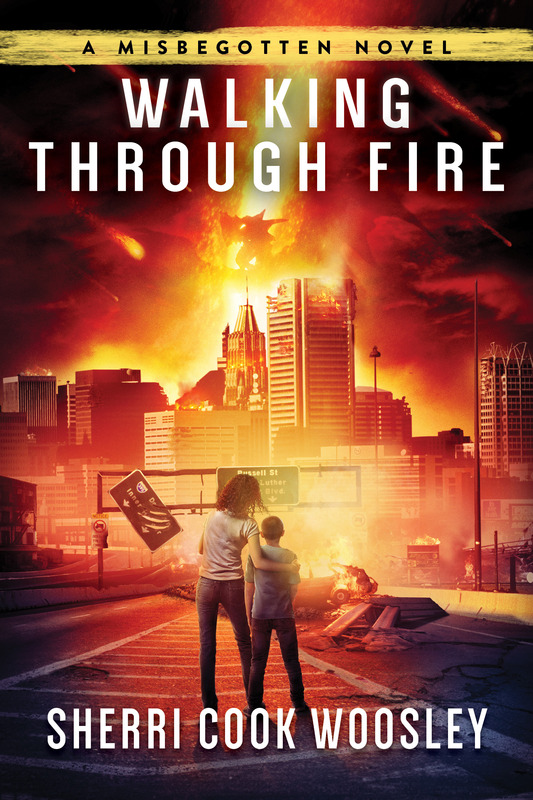 On Saturday I will leave the convention to drive to Towson and I will sign copies of Walking Through Fire at Ukazoo Books (8641 Loch Raven Blvd.) from 3:30-5pm. Then I will join my family to celebrate my son’s birthday. On November 7th I’ll drive to Hagerstown Community College in western Maryland for an author event: reading, answering questions from the writing students, and judging an impromptu poetry contest (or so I’ve been promised). Thank you to everyone who purchased a copy, attends a reading, or leaves a review on Amazon. There are other novels that have huge marketing machines, or big publishers, but my little story is making progress. Thank you for believing in me! Writing-wise I’ve hit some milestones this year. My book, Walking Through Fire, is finally out in the world. Thank you to everyone who purchased a copy! We get to have fun now! Last night was firestorm yoga and the audience was as silly as I was — we had a lot of laughs as I led a class with poses modified to reflect the story in Walking Through Fire. The next event is Friday the 14th at Barnes and Noble in Bel Air, Maryland. And, on September 18th we will have a PARTY at Julie Ellyn Designs on Main Street in Bel Air. Special cupcakes, you ask? Maaayyybe. All events have details here. Now, I need you to do one more thing: If you liked Walking Through Fire then please, please, please leave a review on Amazon and Goodreads. Even just rating with stars gets the Amazon AI to recognize traffic and then boosts the page higher on a search results list. We are getting noticed, though. Check out this review from Fantasy Hive. AND, I have an interview with S. H. Harrison. And, I have a video chat with The Richard Wilmore Show. The book will also be available in bookstores starting September 4th, 2018. I’ve set up some local places where I’ll sign books and do readings. I hope you can join me! Yoga Instructor and Fantasy Author Sherri Woosley will teach a special twenty-minute yoga class inspired by her novel WALKING THROUGH FIRE. The class will be followed by a reading. If you have a book, please bring to have it signed. The bookstore isn’t hosting readings at this time, but I will be present and happy to sign or discuss the book. Come listen to a reading from Walking Through Fire in a shop that features beautiful handmade jewelry as well as other unique gifts made by artisans from around the country. Light refreshments will be served. I’m working on a list of readings and signings and will share soon. Please, if you are on Goodreads add my book to your “to-read” list. Why should you do these things? Well, remember THIS post? But, there are other reasons too. The CRITTERS in my novel deserve their own post. Anyway, I say all this because OF COURSE animals are going to be a big part of my world-building. Energy follows ley lines and causes changes that… Hey! I don’t want to give too much away, though. There’s a quiz below to tell you who your perfect “pet” would be, but DON’T READ ANY FARTHER IF YOU WANT TO BE SURPRISED WHEN READING. Do you want a pet that requires more or less attention? B) I have a couple hours every day. 2. How important is obedience from your pet? A) Obedience is nice, but love is more important. B) I need obedience so I can trust my pet. C) Well, maybe obedience is overrated. D) Who needs a pet who does tricks? 3. How important is it that your pet be housetrained? B) Accidents are unacceptable. We can work on manners. D) I’m willing to change my pet’s water. E). Nope. Never coming in my house anyway. 4. How traditional do you want your pet to be? 5. Do you want your pet to like you? B) I want my pet to respect me. C) I’d like my pet to recognize my voice, at least. D) It’s okay if my pet doesn’t even know I’m home. E) My pet and I will be actively avoiding each other. Look, you guys have done magazine quizzes before. You know what to do. Whichever letter you choose the most often corresponds to your perfect “Misbegotten” pet. 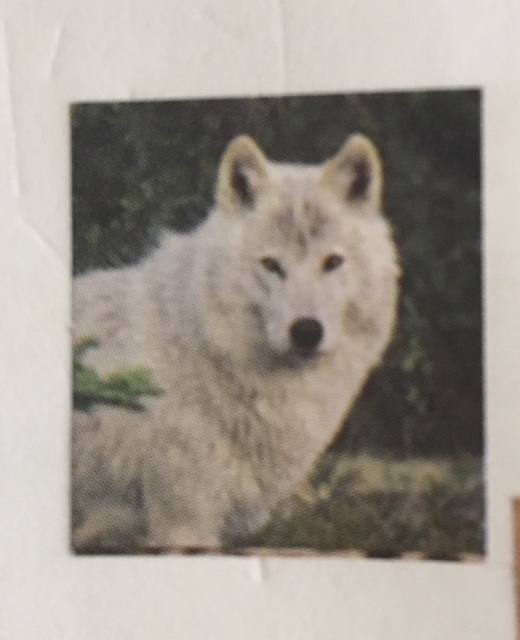 A) Dido — a white female wolf who keeps Caesar “in the friend zone.” She’s elegant, maternal, and protective. With the right person, she’s not above snuggling. Dido is highly intelligent, but discerning about who she’ll love. She’s loyal to a fault and will give everything for her special one. B) Caesar — a solid black male wolf. He’s an alpha who will keep you safe by attacking promptly and without remorse. He is stoic, but might come across as arrogant. He’s not into being cuddled, but will consent to sit beside you when, and if, he chooses. He’s a soldier with perfect posture. It’s not his fault that he’s so damn handsome. 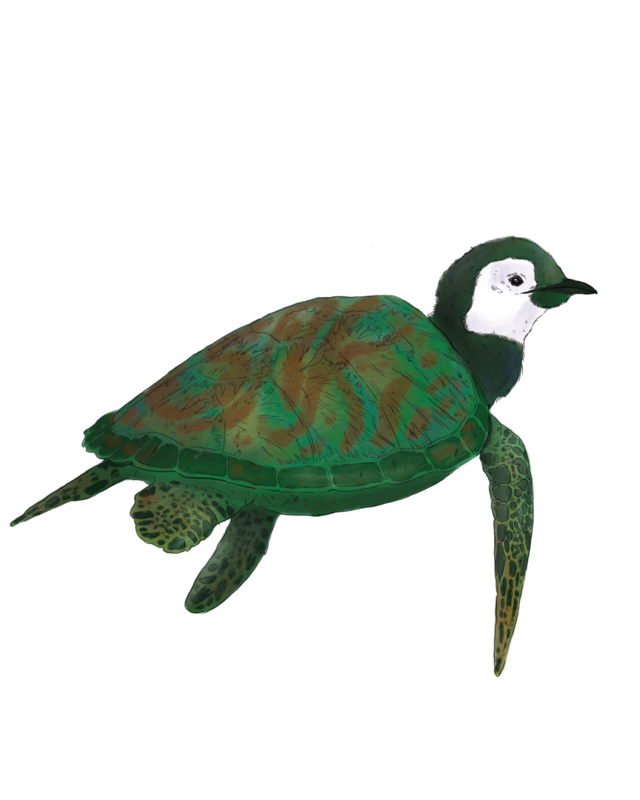 C) Saki — a penguin-turtle who helps Tamaki hold on to her sanity through many terrible experiences. She excels at being quiet and her fur is soft to the touch, but she’ll retreat inside her shell when she needs some alone time. She needs a lot of alone time. D) Zombie horseshoe crabs — these are kind of the equivalent of those frog kits where you send away for the tadpoles. They don’t require a lot of maintenance because they are already dead, but they do drift through the water, preferably brackish water like that found in the Chesapeake Bay, especially when in the presence of etemuu. You can have one or a whole swarm. Warning: under the right circumstances they can be dangerous to humans. 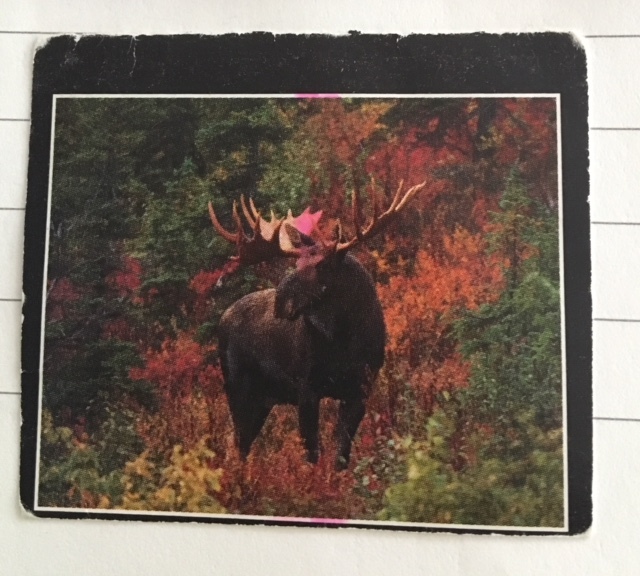 E)Two-headed Moose — This guy is often misunderstood, probably because he is truly of two minds. Like a Gemini, this BIG fella has a good side, purely vegetarian. And then he has the other side, devilish side, literally. His second head, the one growing from his shoulder, would like to spear anyone and everyone. He’ll definitely get your friends attention. Warning: Hire a professional animal trainer for this pet. So, ready to hit the pet store and buy supplies? Post in the comments which pet was right for you. A couple of notes. 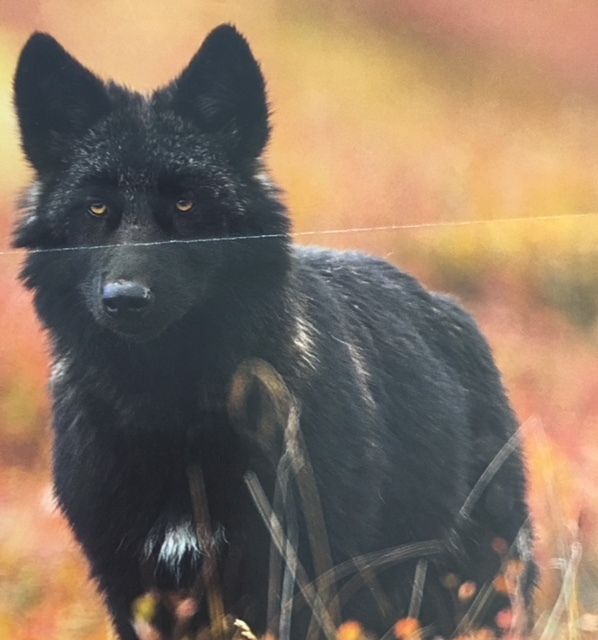 The wolves and moose pictures all came from a World Wildlife Fund calendar a couple years ago — and I’m sorry I don’t have the specific photographer’s name to acknowledge him or her. I’ve ordered bookmarks to give out at readings/signings and they will feature the cover art for Walking Through Fire on one side and Amelia’s design on the other side. Let me know which pet you chose! Hello, Friends. 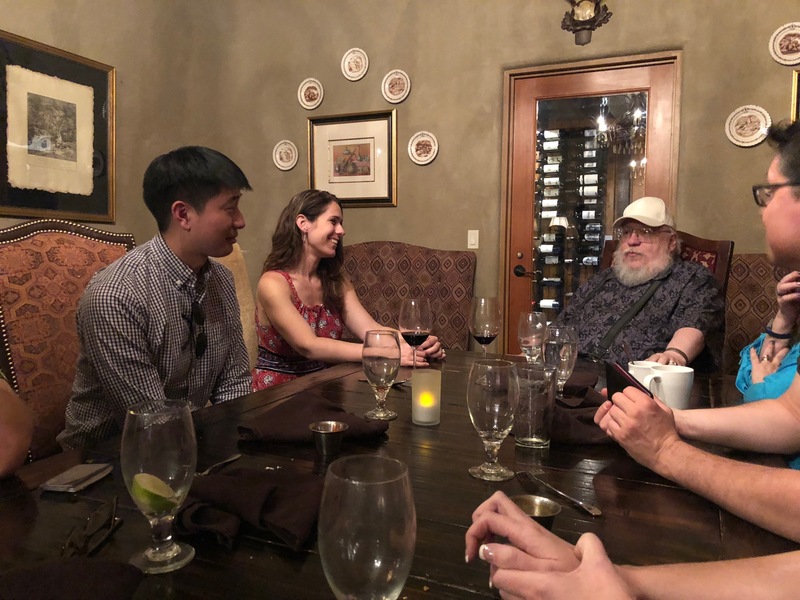 It’s been…a chaotic couple of months, but I wanted to focus on some positive news. Would you like to see the amazing cover for my debut novel, Walking Through Fire? I love this. We have Rachel and Adam standing in front of downtown Baltimore and a dragon in the flames overhead. Everything I wanted. I have some other BIG news. My novel releases September 4th, 2018, BUT IT IS NOW AVAILABLE FOR PRE-ORDER.